T-Mobile’s website no longer shows the only Windows smartphone that the carrier sells: The Alcatel IDOL 4S Windows 10 VR edition. When filtering for “Windows” devices, you simply get a “No items found” message and trying to load the actual product page simply doesn’t lead you anywhere. 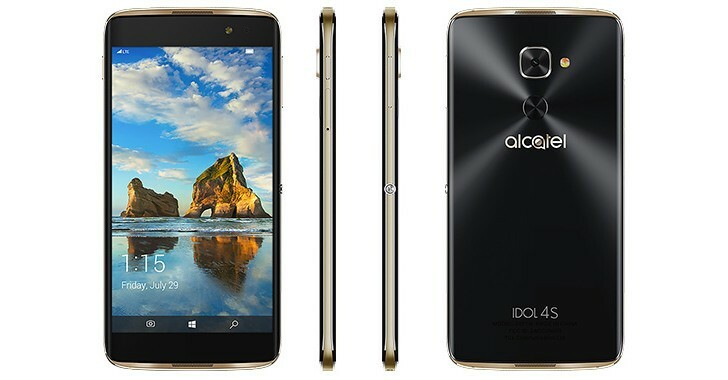 The Alcatel Idol 4S for Windows that you see pictured has three variations including this one: The first one to launch was the Aclatel’s Idol 4S powered by Android ticking a Qualcomm Snapdragon 652 CPU. The next hardware variation is the Idol 4S Windows edition, which runs a Qualcomm Snapdragon 820 and runs an alternative operating system. Finally, the DTEK 60 is an Alcatel-built device that is licensed with the BlackBerry name, also powered by the Snapdragon 820. In any case, which of these three hardware variations would you have rocked? The Windows, Android, or BlackBerry-Android versions? Hope Alcatel makes an Android OS Version for this Flagship phone and stop supporting a dead Win10 Mobile.